Last week saw the latest round of speculation that Batman could show up in the world of The Flash, Arrow, and DC's Legends of Tomorrow. But he doesn't really need to. For context: Last week on Arrow, Oliver Queen name-dropped Bruce Wayne, officially establishing once and for all that Bruce exists in the shared universe of The CW's superhero dramas. Wayne Enterprises and Gotham City had already been overtly referenced (in The Flash and Supergirl, respectively), with hidden references to Gotham in The Flash (clocks at the newsroom) and DC's Legends of Tomorrow (in the text that speeds by as the Waverider lands). Even Bruce's alter-ego, Batman, had been obliquely name-dropped when Rip Hunter told the Legends that he had seen "Men of Steel die and Dark Knights fall." Bruce's name coming out of Oliver's lips, though, felt like something new and something big -- and obviously The CW knew that, because they released the scene online before Arrow aired. There had been rumors in the past that Batman and/or Nightwing might show up on one of the CW's superhero shows, although now that Titans is in the pipeline and The Batman is in active development, it seems less likely than ever. Still, some fans hold out hope. Some, in fact, have long been insistent that the bat-shaped Easter eggs amount are unfairly leading the fans on if they do not add up to anything, saying that at this point the writers are obliged to deliver. 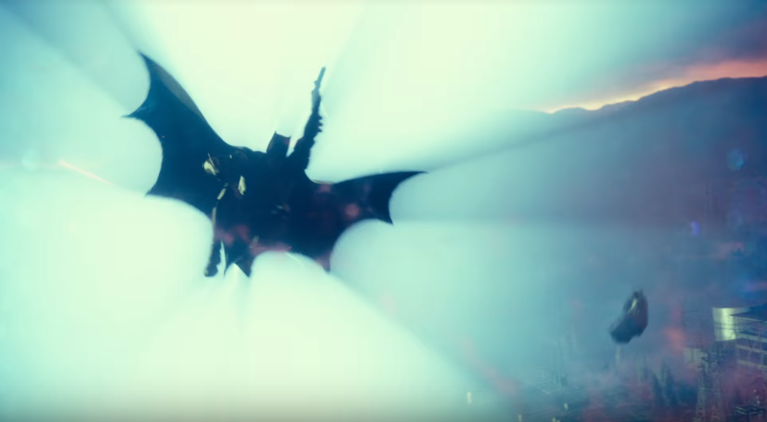 To understand why we do not believe Batman needs to appear in the shared DC Universe of The CW's superhero programming, first it is helpful to remind readers why there is such a persistent call for the Dark Knight ao appear. In the comics, the DC Universe cannot exist in the way it does without Superman, Batman, and Wonder Woman. They are not only popular and old enough to have been around for nearly every story the company has told, but there is commonly-held understanding that all superhero characters are, to one extent or another, a riff on one of the three. There is, therefore, a sense that without Batman, the DC Universe is simply not the DC Universe. There is also an argument to be made that Batman is the most commercially successful character at DC -- especially in other media, where he has some of the highest-grossing and best-reviewed movies, video games, and TV series of all time. It would stand to reason, then, that the Arrowverse (or, really, anyone) would benefit from his inclusion. We saw this in action with the short-lived NBC sitcom Powerless, in which the main characters worked for an insurance company in the first draft, but that was quickly altered for air to be an R&D division for Batman's Wayne Enterprises. In the comics, the DC Universe does not work the way it does without Batman, Superman, and Wonder Woman. When the company have tried to downplay those characters in order to build up others, it tends to go wrong, and when those characters are changed too dramatically there is backlash. The CW's DC Universe is not the DC Universe of the comics, though, and it has not been constructed around Batman, Superman, and Wonder Woman. If there are three pilars of the DC/CW Universe, it would be Green Arrow, The Flash, and Supergirl. If one wanted, one could apply the Superman/Batman/Wonder Woman archetypes to Supergirl, Green Arrow, and The Flash, respectively, without breaking a sweat, but realistically the "Trinity" simply do not dominate the conversation on TV the way they do in the comics because the universe was constructed differently. 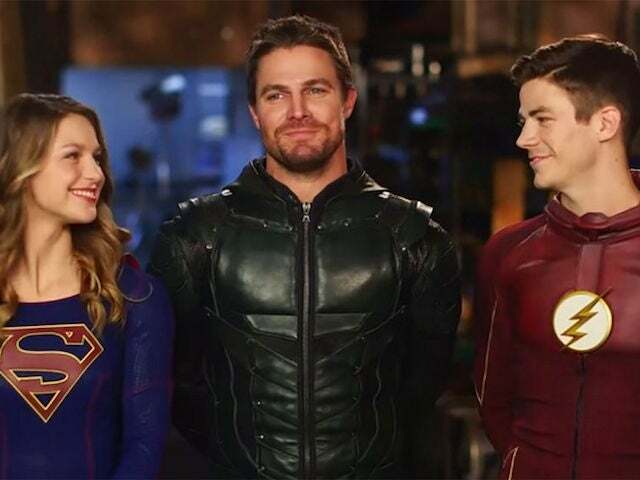 There is also the simple reality that the shows are doing very well for The CW; each new show has been successful enough that the network has decided to take a chance on another, and another, and another DC show. Currently Black Lightning is waiting in the wings for its January airdate while Project 13 is in development for next TV season. While Batman would be a boon to ratings, in other words, that boon is not, strictly speaking, necessary right now. Meanwhile, the fact that someone else -- Green Arrow -- is filling his niche in the universe means that he would be narratively extraneous. Superman serves a different purpose than Supergirl principally because of the world they built from the pilot forward: Superman was always there, and always an inspirational and aspirational figure not only to Kara but to the other characters in the world. It allows the writers to use Kara as an inspirational figure to the people of National City, while still having someone she can turn to for advice, a shadow she has to crawl out from under, and on and on. There would be no reason for such a relationship to exist between Oliver Queen and Bruce Wayne, or between Batman and Green Arrow. So the dark, brooding avenger of the night gig is one that is taken here. The Arrowverse has got along so far with Oliver standing in as Batman -- and while that tends to rankle some fans, either because they like Batman, because they believe there should be more differentiating his story from Green Arrow's, or some other reason, the reality is many of Batman's best stories have already been given to another character, and introducing him would feel somewhat redundant in some ways. That does not mean it is a bad idea to bring him in: fans would go nuts, and cast members of both Gotham and the Arrowverse shows have said in the past that they would like to see it happen in some way. 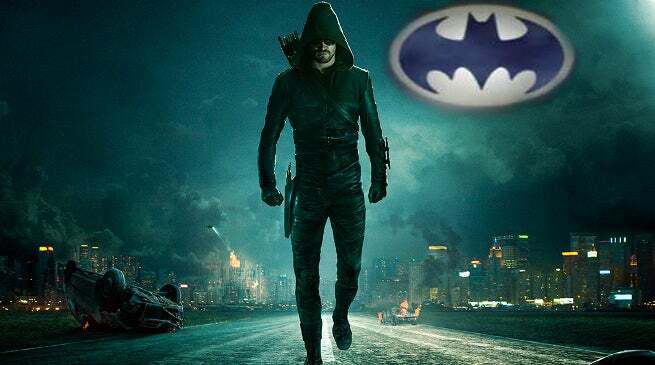 That said, that Batman certainly does not need the Arrowverse -- and the Arrowverse does not need Batman, either. There is likely an argument that, as long as the shows are good and the ratings are solid, The CW is actually better off using characters who don't have the same kind of household recognition, becuase why would millions of people a week tune in for Green Arrow if Batman was doing basically the same thing in the same spot? Supergirl airs on Monday nights at 8 p.m. ET/PT. 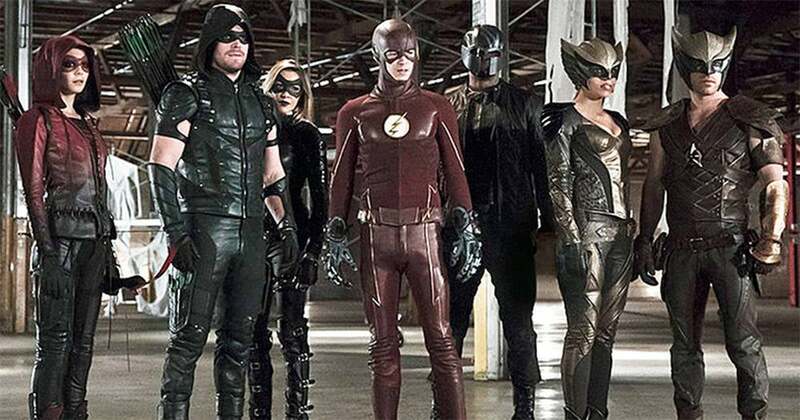 The Flash airs on Tuesdays at 8, followed by DC's Legends of Tomorrow at 9. Arrow airs on Thursday nights at 9 p.m. ET/PT. All four shows air on The CW.